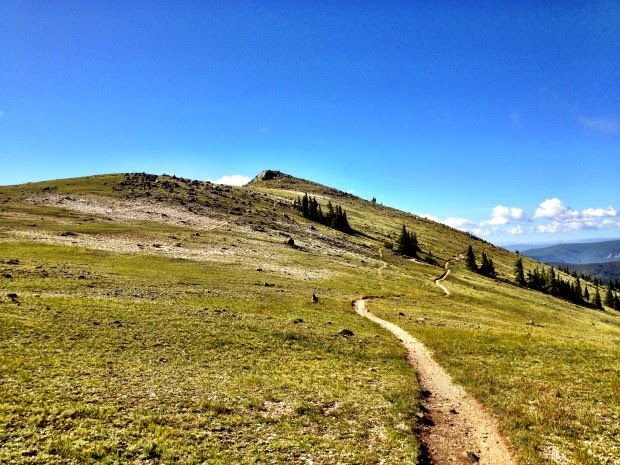 Greg Rides Trails: Returning to the Monarch Crest after a 5-Year Absence: Why Did I Ever Leave? Returning to the Monarch Crest after a 5-Year Absence: Why Did I Ever Leave? I first rode the Monarch Crest back in 2008, and while we had been through Salida several times since then, I hadn’t had a chance to ride the crest again. That first ride, back in 2008, was hellaciously daunting, yet fantastically memorable. Thanks to a wrong turn, getting caught in a rain storm without a jacket, destroying my chain and cassette, and being forced to bail off the route early, it was quite the experience, to say the least. After a five-year absence, I finally returned.